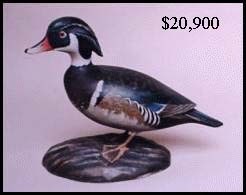 950+ lots. 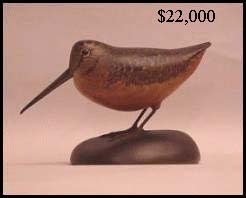 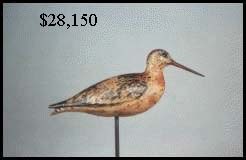 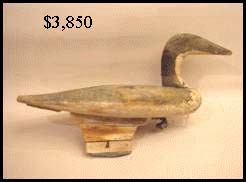 Collections of Bernard Crandell, Ron Adamson, Herman Votens, Ralph Selby, Jr., and decoys consigned directly by the Gromme family. 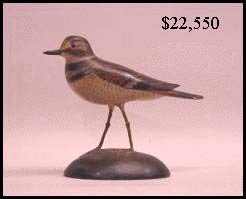 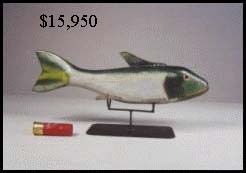 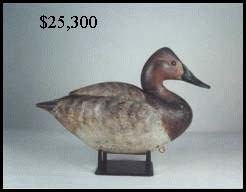 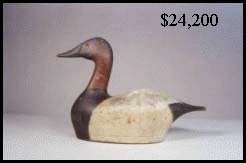 Our April decoy auction grossed 1,721,000; which was around 25% above our estimate. 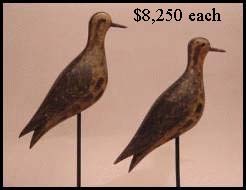 28 lots sold for over $10,000 with at least 5 major items selling for world auction records. 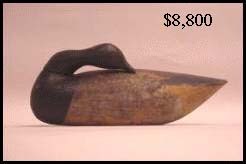 A large crowd and a very large amount of phone and absentee bidders (705 bid numbers issued) kept prices very high on most items. 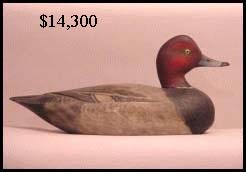 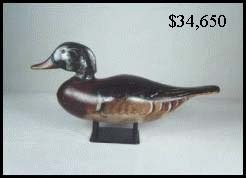 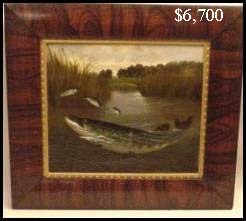 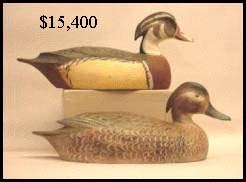 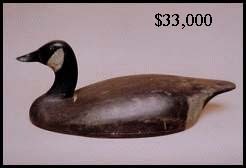 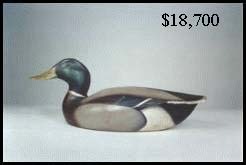 Ontario decoys, Elmer Crowell decoratives and miniatures, and decoys by Owen Gromme of Wisconsin brought very high prices. 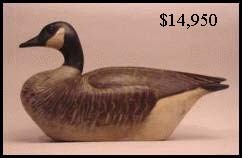 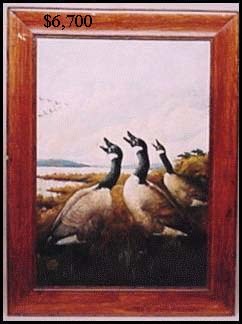 Also decoys from Virginia and Factory decoys brought high prices.